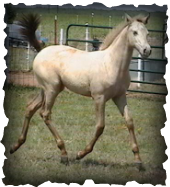 Rolex is a rare classic cream dun champagne stallion which is a grulla that carries a cream & a champagne gene. 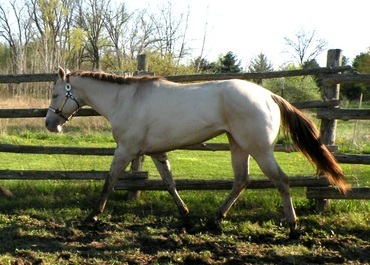 His color is truly the icing on the cake. 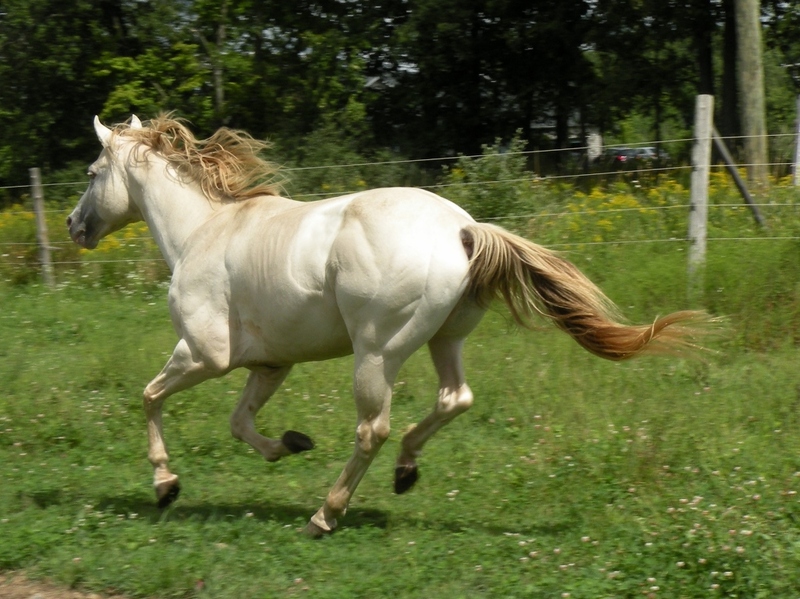 Rolex has been trained in reining, shown at local shows, and trail ridden the last year. 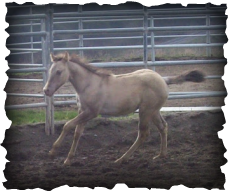 He has a flat kneed trot & deep hocked flowing lope that would lend itself well to HUS/WP or whatever direction you want to go. 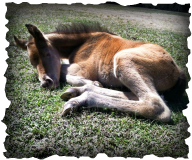 Rolex has correct conformation, strong bone, straight legs, & big feet. 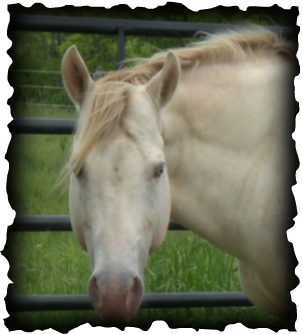 Rolex has a sweet & willing attitude. 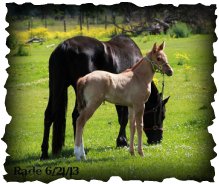 His foals to date have had pretty heads, laid back shoulder, short backs, big hips & straight legs. 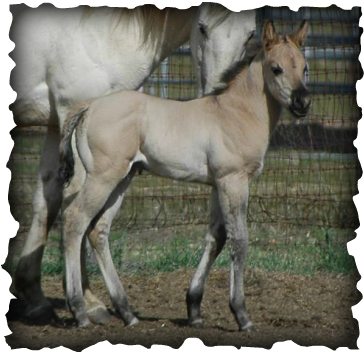 He has crossed well on a variety of mares from AQHA to an andulusian. 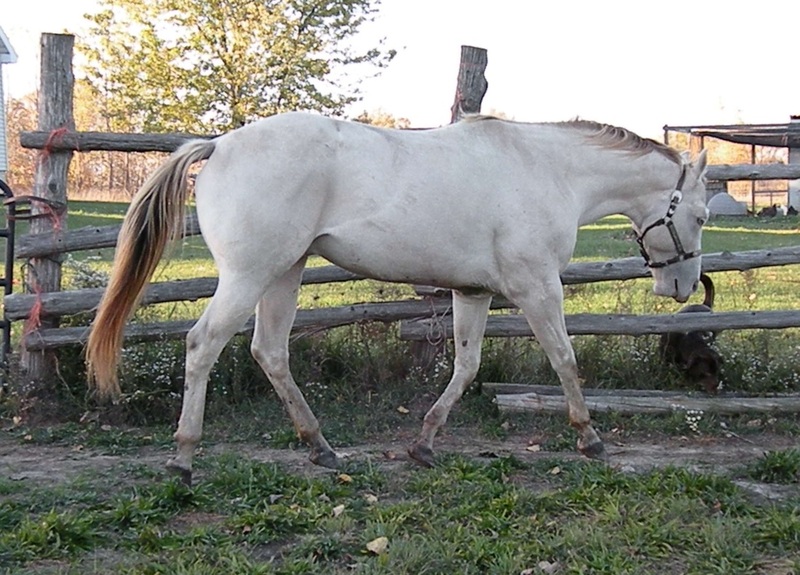 Rolex is an honest 15.3hh.